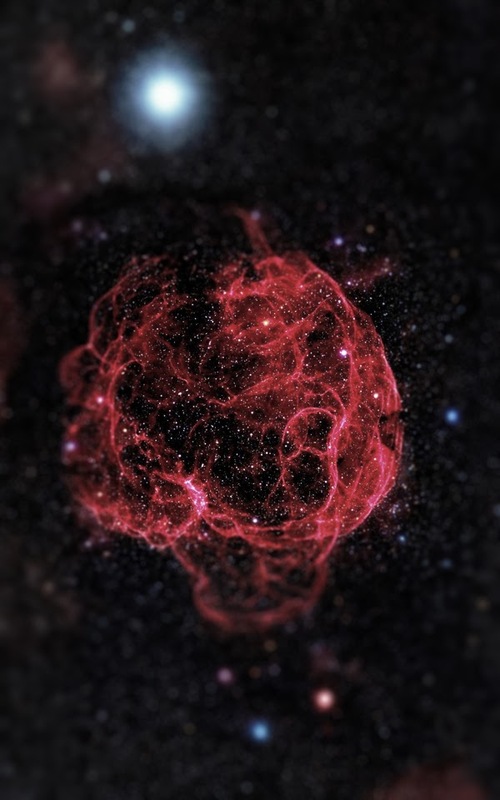 With the use of a relatively simple photography technique, Italian artist Haari Tesla has reduced the cosmos to a microscopic level. Her series, Illuminated Code From Space, is experimentation in tilt-shift manipulation. By digitally adjusting the depth of field, contrast, and adding a gradient, Tesla has managed to transform photos of nebulae, galaxies, and supernovae into microorganisms. It’s incredible to look at these images and realize that they are actually photos of the largest place we know, rather than of something so small it can’t be seen with the naked eye.